Serving every client equally without regard to age, race, income, nationality, religious affiliation, disability or other arbitrary circumstances. Treating every client with kindness, compassion and care. Holding all client information in strict and absolute confidence. Obtaining releases and permissions appropriately. Disclosing client information only as required by law and when necessary to protect the client or others against imminent harm. Always giving honest and open answers to all clients’ questions. 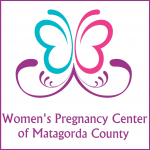 Providing accurate information about pregnancy, lifestyle issues and related concerns. Distributing and administering pregnancy tests in accordance with all applicable laws.